This year has been a beautiful year in music and it has been quite difficult for me to pick the albums I wanted to mention on this site, but I would be completely remiss if I didn’t mention the album I will focus on here. The album is called Fables and it is by David Ramirez. I have been listening to David for a couple years now so I was excited to see he was releasing a new album, especially since it has been three years since his last full LP was released. David is the type of writer and artist that wears his heart on his sleeve. When you listen to a song or album of his, you’re getting him as a person. A little piece of him is in every song and his brutal honesty has this way of gut checking you. I will hear a line from a song of his and just have to stop the record and just sit. Sometimes it is because he just beautifully put to words some idea I have had or it may just be some deep lament that demands a response. Either way, it is hard for me to sit through listening to Fables without multiple moments like this. I think I relate to David Ramirez’ songs more than maybe any artist I have listened to. His music speaks of heartbreak, hypocrisy, religion, and life. To me these are just songs of life and love, tributes to the moments and experiences that shape us into who we are. David seems to still be experiencing these moments and we are lucky that such an emotionally present human took the time to document each moment in song. beautiful picture and invites the listener into his experiences. The ideas that come across are dauntingly heavy, yet a subtle stillness seems to always come in somewhere during the experience. Ramirez just has a sweet spot to draw every emotion from the listener and thats the driving force behind this record and every record he has ever released. Ramirez even tackles the relationship between an artist and their fans and sometimes this comparison is not in favor of the listener, but that just shows me that he truly is honest and is not afraid to hurt your feelings or lose fans. He makes music that he wants to make and doesn’t seem to care how people react. As a music lover and songwriter this is refreshing to my ears. It’s refreshing to know their are still artists out there that write songs like his and the songs that come from his honest approach never seem to disappoint. Fables is great from beginning to end. There isn’t a single song on the album I don’t love, but I am just going to highlight a few of my favorites. The album starts off with an upbeat song called “Communion.” “Communion” is a fun song with a simple little groove. It’s definitely a more light hearted song for David Ramirez, but as of any David Ramirez song, he talks about religion, love, and life. The second song is maybe may favorite of the album, it’s called “Harder to Lie.” The name of the album was derived from a line in this song. The track is simple musically with with the steady brush of a snare, guitar pickin’, and the hum of a pedal steel, while Ramirez’ vocals beautifully blend with the melody. The song is really a confession of David to a lover, confessing that he lied and fed her fables of who he really was. I can relate to this idea of making someone think you are someone you’re not. The line “harder to lie” is David saying the farther he gets into the relationship and the more he falls in love the harder it is to lie about who he really is. It’s a wonderfully written song. The third song on the album is called “New Way of Living.” This song focuses on the reality that being a songwriter/artist isn’t easy and the realities of being a songwrter. The opening line says, “What do you say, when their’s nothing to say. Do you fill the silence, with a bunch of nonsense?” I love this line and this idea that some people just put out music because they have to or some other reason other than that they are actually ready to release a project that they really worked hard on and put their heart and soul into it. David seems to call himself to a higher standard and tackles the idea that this career path may not be for him anymore. The fourth track on the album is called “Rock and a Hard Place.” This track is one of the most confessional and honest songs on the album. This song feels like a diary entry of Ramirez, lamenting the realization that all of the lessons learned throughout his life came through hard times. It’s an honest and vulnerable song. The harmonies in the chorus are beautiful and the last verse is amazing. The songwriting and wit behind this song s amazing. There is also a great music video to this song. The next song I want to highlight on the album is called “How Do You Get Em’ Back.” This song is a love a song and I relate to it a lot. It is just a cry from David, asking how do you get em back, basically when they want nothing to do with you. The end of this song builds with an amazing crescendo in the bridge and ends with a lot of emotion. You can hear aching and longing in David’s voice as he cries out for answers. This song is another favorite of mine from the album. The last song on the album and the last song I will write about is called “Ball and Chain.” I absolutely love this song. It just has such a real feeling behind. I feel like I’m sitting down with an old man who has been a musician his whole life and he is just getting some things off of his chest. It feels like Ramirez just wants to set the record straight about what he does and what it costs him. This song is one of my favorites on the album and presents an amazing perspective into the psyche of an artist. From beginning to end, this album is incredible. The songwriting, singing, and structure is something to rave about. I love David Ramirez and I hope he continues to grow and evolve as an artist, even though I have no idea how he could get any better. Sometimes an album comes along and feels familiar, yet each song is brand new. 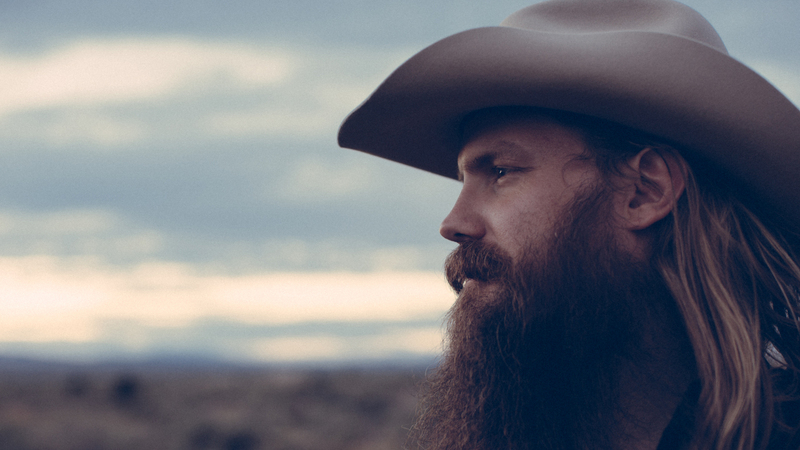 This year Chris Stapleton released his debut album Traveler. This album just has a timeless feeling to it. With radio played country music at an all time low, in my opinion, Chris Stapleton and Traveler seem to be a beacon of hope for the country music genre. Somewhere between classic country and modern pop country, this album has something for any music lover. With the smooth blues voice that Stapleton is known by and amazingly honest and transparent songwriting, this album is a masterpiece from beginning to end. 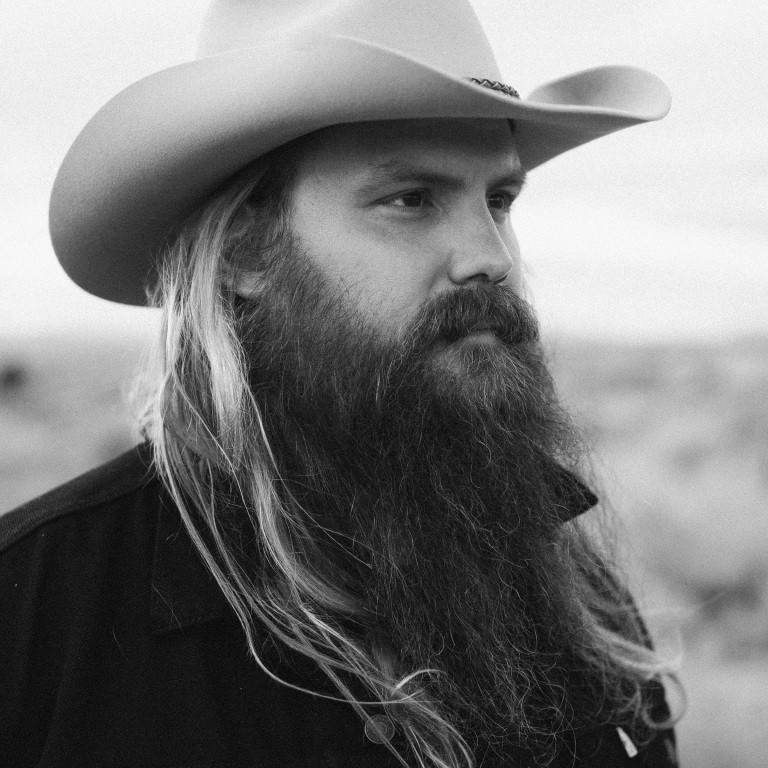 Chris Stapleton grew up in rural Kentucky, where his dad mined coal to provide for the family. At the age of seven, Stapleton toured the famous RCA Studio B in Nashville with his father and picked up a guitar for the first time. Stapleton grew up listening to music his father listened to. He said, “My dad loved listening to Waylon and Willie and all the outlaws, and he also was a big fan of blues and R&B, so that’s what I heard growing up.” After growing up, Stapleton went to college for a little while before he dropped out and got a job driving an ice truck. Stapleton traveled delivering ice and every night he would jam with local artists wherever he was at. 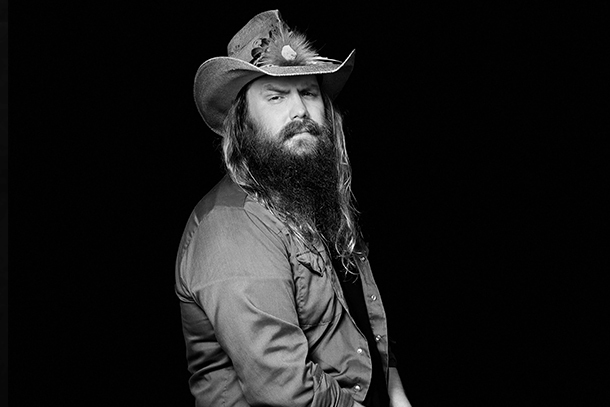 Stapleton started writing songs and developed a group of friends to play music with. After years of playing for fun and hauling ice all over the southeast, in 2001 Stapleton decided to make the move to Nashville and pursue a career in songwriting. Thanks to a hometown friend, Stapleton got a foot in the door of a publishing company and within four days of moving to music city, he landed his first job as a staff songwriter. In the years to follow, Stapleton wrote over 170 songs for other artists, including hits for Kenny Chesney, Luke Bryan, Josh Turner, Darius Rucker, and Adele. Stapleton became a hot commodity in the Nashville songwriting community and had his own projects come up along the way. In 2008, Stapleton and some other studio musicians started the band, The Steeldrivers. The Steeldrivers were a big hit in the bluegrass genre and gained a big following of fans. After some time playing with The Steeldrivers, Stapleton started a southern rock band called The Jompson Brothers. The new band released a self titled album and spent some time touring. After about a year, Stapleton finally got a solo record deal, but after a single was released off the album, the label decided to drop Chris and the album was never released. About the same time this happened Stapleton’s father passed away, so Chris’ wife decided they needed a little break. 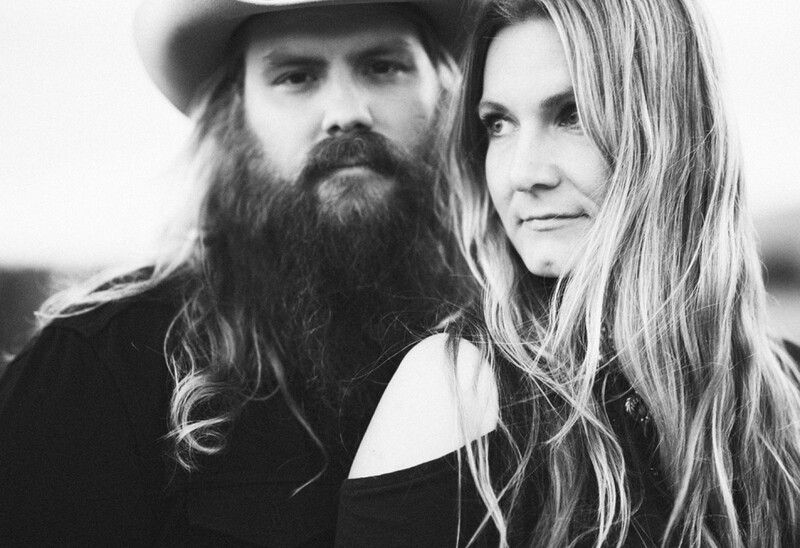 In December of 2013 Morgane Stapleton bought Chris a 79’ Jeep Cherokee in Arizona. The couple flew out to Pheonix, picked up the jeep, and drove it back to Tennessee. They brought with them photographer and videographer Becky Fluke to document the trip. After about ten days on the road, they finally made it back to Nashville. 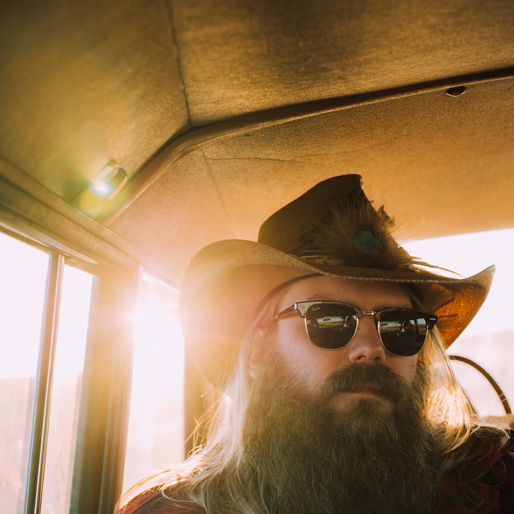 During the trip, Stapleton wrote the song “Traveler” and he decided he wanted to try to release a solo album again. Stapleton got back to Nashville and got to work. He sought out producer Dave Cobb, who has produced records for Sturgill Simpson, Shooter Jennings, and Jason Isbell. They hit it off and decided to move forward with the record, which Stapleton co-produced with Cobb. The record was recorded in the famous RCA Studio A with a bunch of Stapleton’s old bandmates and friends. “It was a lot of hanging out, in the best way,” Cobb said. They finished the record at the end of 2014 and the record was released on May 4, 2015. 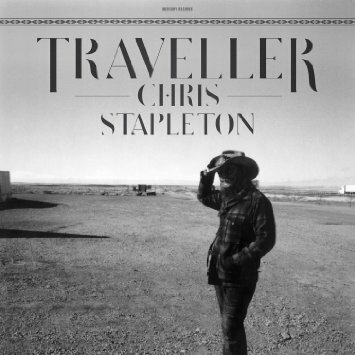 Traveler has seen much critical acclaim and is nominated for Album of the Year at the CMA music awards. When I say that every song on this album is a must listen, I truly mean it. Not a single song is worth skipping. The album starts off with the title track “Traveler.” This song is a tribute to the road and Stapleton’s ever present desire to go. This song immediately shows off Stapleton’s range and blues driven voice, which is a great predecessor of things to come throughout the rest of the album. I love this song, because I relate to it so much. The feeling of just needing to get away, no matter where you’re going, is something that resonates with me. The next song on the album is “Fire Away.” This song is honest and powerful. There are great dynamics in this one from the verses to the chorus. Chris’ wife, Morgane, can also be heard on this song, like many others on the record. The next song on the record is “Tennessee Whiskey,” which is actually an old George Jones song. Stapleton’s whiskey drenched vocals come souring in from the first line of the song to the end. This one really makes you feel something down in your gut. The runs in the chorus are nothing short of spectacular and the groove is real laid back. This song may show off Chris’ voice as well as any song on the album. The next song I want to highlight is “Whiskey and You.” This song is real slow and relaxed, maybe the slowest song on the album. The songwriting on this song is amazing. The song compares the similarities and differences between whiskey and a lover. Stapleton cries, “I drink because I’m lonesome and I’m lonesome cause I drink.” This song is one of the most well written songs on the album. You can really hear the emotion behind the delivery of every line. The eighth song on the album is called “When the Stars Come Out.” Stapleton wrote this song with a friend, Dan Wilson, in L.A. This song sounds like a song about physical stars in the sky, but Stapleton actually wrote it in reference to the celebrities in Hollywood. This song isn’t black and white and leaves a lot to the listener to decipher and decide for themselves. The simplicity of this song really stands out and the simple beauty of it. 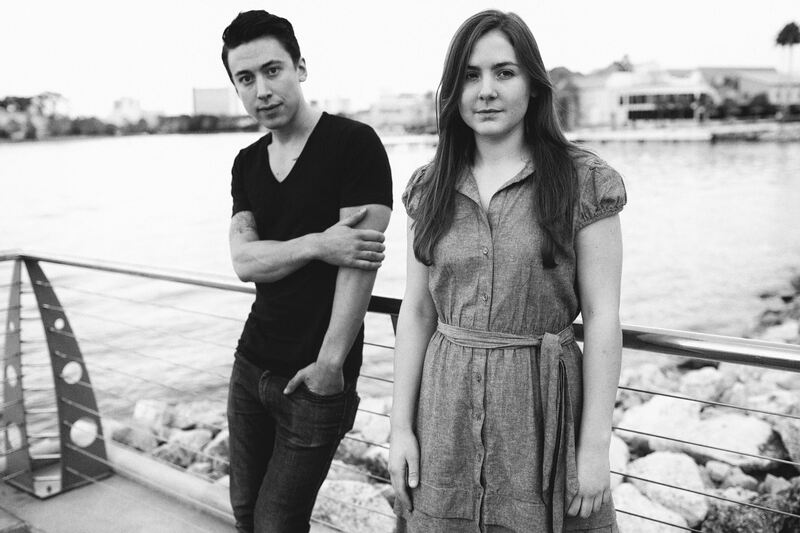 The whines of the pedal steel seem to accent the harmonies of Chris and Morgane particularly well, taking the song to another place then it would be otherwise. The next song on the album is “Daddy Doesn’t Pray Anymore.” Stapleton wrote this song in 2005 while his dad was still alive and tucked it away in his huge archive of songs. When his dad died in 2013, the song meant more to Chris and he felt like it was time to do something with the song. The song is extremely well written and personal. You can hear with each tender line, the pain and struggle Chris faces in his dad’s passing. It is probably the most vulnerable song on the album. The next song on the album is “Might As Well Get Stoned.” This song is raw and rockin’. It’s just an in your face rock song with guitar solos and howling vocals. It’s a change of pace from much of the album, but fits perfectly in the mix. The last song on the record is “Sometimes I cry.” The song was recorded last year at a party on New Year’s Eve in RCA Studio A. The band and friends and family were all there to celebrate the record and Chris and the band walked into the studio and in one take ripped out this rip roaring heart wrenching song. Stapleton really lets loose on this track. You can feel every word and guitar riff. It is one of the most raw songs on the album. These were some of my favorite songs on the album, but even the ones I didn’t mention are great. From top to bottom this album is a masterpiece that I will spin again and again until the vinyl wears out. Chris Stapleton’s career is impressive and this album seems to be the cherry on top, but I don’t think we have seen the last of Mr. Stapleton. This is just the beginning of his solo career, which seems to be more promising than all of his accomplishments so far. Chris Stapleton will be a staple in the country/americana genre for years to come and I could not be more excited. 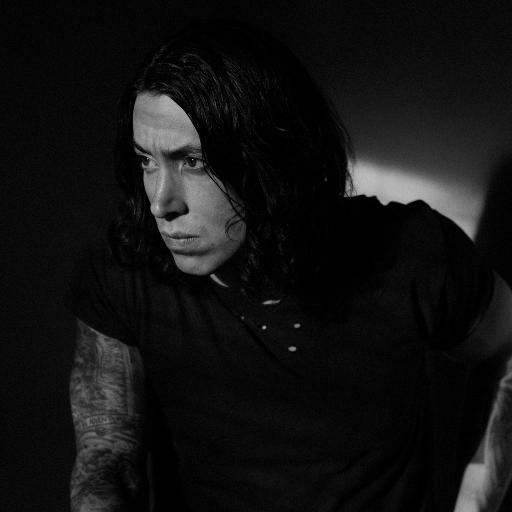 Noah Gundersen has never been one to go with the grain, but instead seems to question cultural norms with serious conviction. At 25, there are very few artists who write and perform with the honesty and emotion that Gundersen portrays, poise and transparency like that of a road worn troubadour. Since having an original song featured on the hit television show, Sons of Anarchy, and being nominated for an Emmy, Gundersen has continued to gain followers. 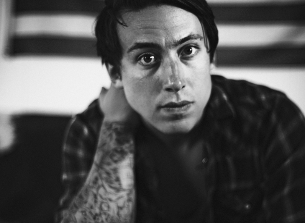 Following his critically acclaimed first full-length album, Ledges, Noah released his sophomore album, Carry the Ghost, in August of 2015. Carry the Ghost is an album of reflection and depth, where Gundersen asks questions of life, relationships, and religion. “This album grew out of a desire to know myself,” explains Noah. “The concept of Carry the Ghost is that we’re made by our experiences and to accept that instead of fighting it. The last few years have been a process of accepting things as they are and not to see them as so black and white or right and wrong, to accept that we’re not made to be a certain way, but that we are in an ongoing process of becoming.” Gundersen is in a process of becoming, when in the process he has become a timeless songwriter and artist. to Seattle, working at a tanning salon for a while, before landing a job at a guitar shop. After Noah had a song featured on, Sons of Anarchy, he quit his part time job and dedicated all of his time to his art. 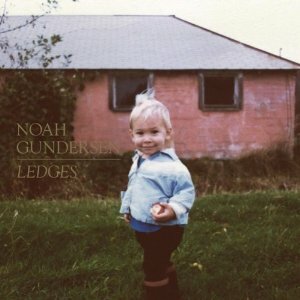 In 2014, Gundersen released his first full-length album, Ledges, with Dualtone Records. Ledges peaked at No.100 on the Billboard charts and had much critical acclaim. After over a year of extensive touring, Gundersen took some time off and recorded his second album, Carry the Ghost. Carry the Ghost was recorded at Studio Litho in Seattle. Studio Litho is owned by Stone Gossard, the guitarist for Pearl Jam. Noah produced the album himself and it was then mixed by Phil Ek, who has also worked with Fleet Foxes, Father John Misty, and Band of Horses. Noah is now on a nationwide tour in support of Carry the Ghost. you, bellowing out smooth harmonies over minimalist instrumentation.This song sounds like a hymn of old, with the Gundersen siblings singing harmonies like that of a gospel chorus. The third track on the album “Isaiah” is a beautifully written song as Noah’s gentle voice craws into the steady picking on his guitar. This is one of my favorite songs on the album. As you listen to the song “Cigarettes” you feel the intensity and pain of Gundersen’s smooth voice and harmonica hums.This song plays on the connection between cigarette addiction and love, with one liners like, “Once you had me, you don’t have me anymore. I don’t crave you in the morning at the company store.” This is one of the most well written songs on the album. The most diverse song musically on the album is the title track “Ledges.” Even with more instrumentation, the song still feels intimate and stripped down. Ledges is one of my favorite albums ever. It truly is an album that only becomes more soothing and fresh with each listen. seven minute journey of raw emotion and dark tonality. 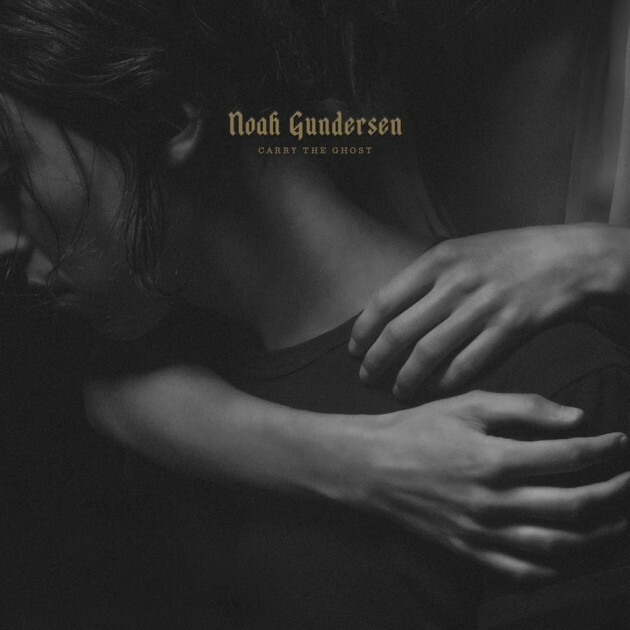 As you listen to the howls of Noah over the reverb of the guitar, you can hear every scar Gundersen has experienced through heartbreak. This is album is darker than any of Noah’s past albums, but you don’t lose the honesty and intimacy that we expect from Noah. This record is definitely not for the surface level listener, but is directed towards the people who question the experiences of life. There have been some great albums released this year by veteran artists and new artists. For this blog I am going to focus on two artists who have had big debuts this year. These guys are not the most well known artists, but they are definitely on the rise as up-in-comers, even though one of them has been touring for over ten years. The artists I want to discuss today are, Leon Bridges and Nathaniel Rateliff and the Night Sweats. The reason I am discussing these two artists, rather than all the other artists who have put out amazing albums this year, is the style these guys bring to the table. Each artist is unique, yet the music they are playing seems to be a timeless sound you have to hear to believe. Leon Bridges and Nathaniel Rateliff are bringing back soul music in a big way and your’e missing out if your not listening along. I heard Leon Bridges for the first time last year. I was looking through youtube videos, spotify playlists, and music sites, like I so often do. I can’t remember how or where I found this guy, but he immediately had my attention. The first song I heard by him was the title track off his album, “Coming Home.” The song blew me away. I was listening to a single that had been released in the past month, but it sounded like a song straight from Smokey Robinson and the artists of Motown. It truly was this amazing feeling. I felt like I had jumped into a time machine and transported back to the 1960’s. The smooth harmonies, the clean rhythm, and the warm vocals sent a chill up my spine, reminding me of the greats like Sam Cooke, Otis Redding, and Marvin Gaye. Leon Bridges is from Fort Worth, Texas, where he lived working as a barista and playing little bars and coffee houses. He was discovered by and started working with Austin Jenkins and Josh Blocke of the psychedelic rock band, White Denim. This seems like an unlikely pairing, but the boys of White Denim seem to know talent when they hear it. Bridges’ worked on his first record in Fort Worth, where they recorded most of the album during the summer of 2014, in the Niles City Sound studio. Leon got a record deal with Columbia Records and the record was released on June 23, 2015. The record has seen great success and critical acclaim. This record truly is a tribute to the great soul singers of old, but Leon seems to separate himself as a talent all his own. Leon says his greatest influence is Sam Cooke and much of his mannerisms are like that of the singer. From top to bottom this album is a masterpiece of soul. The opening song, “Coming Home” opens the record with beautiful harmonies and a smooth groove, paying homage to the sounds of Motown. Another song that separates itself is, “Lisa Sawyer” which is a tribute to the life of Leon’s mother, Lisa Sawyer. This song is more like a ballad than the other songs of the record, as it tells the story of Lisa Sawyer growing up in poverty in New Orleans. Another song that is noteworthy is, “Smooth Sailin.” This song comes in with a saxophone leading the way, as Bridges’ vocals come in along with the smooth echo of the backup singers. As the title suggests, this song is a smooth sail through beautiful harmonies, saxophone solos, and a rhythm that gets in your skin. It is definitely a classic groove. Two songs on this album are more along the lines of classic gospel music. “Shine” and “River,” dive into the spiritual side of Leon, where he speaks of his belief and benevolence to God. “Shine,” is drenched with an organ and saxophone that tend to stand out behind Bridges’ honest vocals throughout the song. This song, along with almost every song on the album, is interlaced with smooth harmonies, like that of a gospel choir. “River,” is probably the simplest song on the record, as Leon comes in on his acoustic guitar and sings of his mother’s words and his longing to go to the river. You can hear the deep longing and desire of a young man who desires to go to a place that he feels unclean to enter. This album is amazing from beginning to end. Every song is different, while they all have the same style, like that of the music of old. 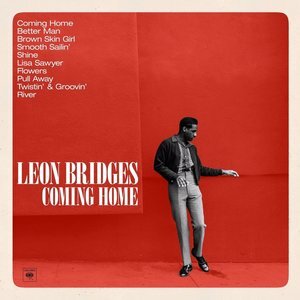 It seems like soul music is making a comeback, with Leon Bridges at the helm and I am on board, wondering why it ever left in the first place. I have been a fan of Nathaniel Rateliff for a few years now. 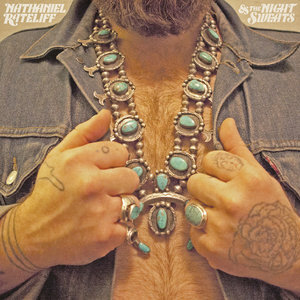 When I saw that he was releasing a new album under the name, “Nathaniel Rateliff and the Night Sweats” I became excited, but I did not expect what happened next. I expected another great indie folk album, like that of Rateliff’s previous works, but I was pleasantly surprised. I turned on the television one night and saw that Nathaniel was playing on Jimmy Fallon. First off, this was surprising. I have been listening to Nathaniel for years and he has never had much success, so when I saw him on Fallon I was surprised. I watched the episode until finally, it was time for the music portion of the show. What I saw next blew me away. Instead of the usual singer/songwriter folk music I am used to hearing, there was a full band, including a horn section, with Nathaniel leading the way. They played the song, “SOB” and I was hooked. The song was a knee slapping, howling soul song, like that of James Brown or Otis Redding. Rateliff howled with abandonment and soul that is hard to find. By the end of the song, the crowd was on their feet cheering and Jimmy Fallon was giddy with excitement, as if the reincarnate of James Brown had just graced his stage. At that point, I realized Nathaniel Rateliff was doing something different and he was doing it very well. 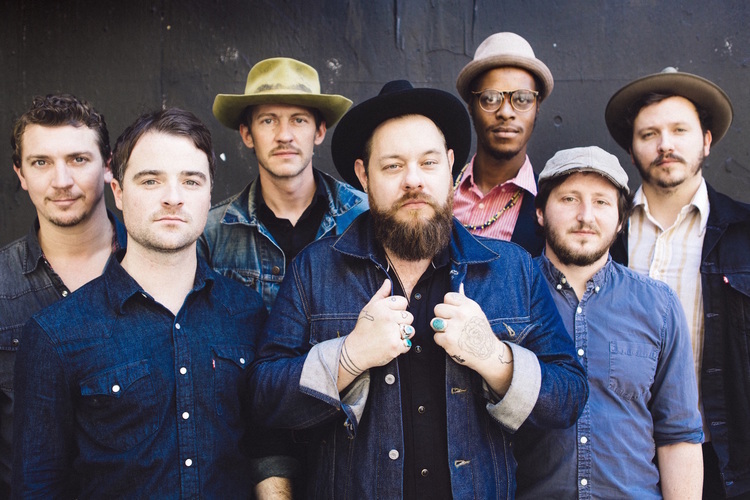 Nathaniel Rateliff has been playing music since he was a kid. He grew up in Hermann, Missouri, where his dad shared his old records with Rateliff and taught him how to play drums when he was 7. When Rateliff was 13, his father was killed in a car accident. Rateliff was left only with his old records and a suitcase full of harmonicas. Rateliff started playing and writing music with his friend Joseph Pope III, who took notice of Rateliff’s talent from an early age. He started writing folk music and went on tour at the age of 18. He released his first album in 2009 and had some success. He toured the world opening for Mumford and Sons. Rateliff had been touring tirelessly for years, when he set to release his second album. The album was dropped by his label at the last moment, which left Rateliff questioning whether to go on making music or not. He started his own label and released the album in 2013. After this, Rateliff reconvened with his old friend Pope, who had some stuff he wanted Rateliff to sing. Rateliff met Pope and sang some of the songs that would eventually be on the album. He decided he wanted to be apart of this group Pope was forming and this was the birth of Nathaniel Rateliff and the Night Sweats. It was also no surprise when the reborn, Stax Records, signed the band and released the album on August 21, 2015. It was no coincidence that the label of so many great soul singers released this new record with a classic feel. The album starts off with the glorious song, “I Need Never Get Old.” The song starts off with a simple guitar lick, but then explodes into a full horn section blasting away. The song is full of ups and downs, while Rateliff’s voice seems to stand flawlessly on its own as the chorus rings in. It’s a transport back to the soul days of Sam Cooke, James Brown, and Otis Redding. The album starts off with a bang and doesn’t seem to ever really slow down. There are some real howlers on this record. One would be, “Howling at Nothing” which seems to have this gritty yet smooth tone with blues guitar filling the airwaves. There is no lack of enthusiasm and harshness in this song, while all the while it seems to groove and sway. Another one that really howls is the single, “SOB.” Now this song is special. It starts off with a sort of hum from all parts of the band, with the only accompaniment being stomps and claps from the band members. It almost sounds like a slave spiritual of old, until the chorus. After the soft stomping and clapping, the band comes in full force and it is nothing short of spectacular. This is a song with some serious lyrics, but I can’t seem to stop smiling throughout the whole song. The howling vocals combined with the smooth hums and brass section is truly something to behold. From beginning to end this song will have you hooked on every line. There are a couple songs on this album with a slower mellow feeling to them. One would be the song, “Wasting Time.” This song is a reflection of all the time we spend doing things, that seem to be wasteful in the end. It has a slower tempo and definitely listens easier than most songs on the record, but all the while, Rateliff seems to never lose his serious complexion. As the lap steel comes in, there is this since of reflection that comes over you. It is definitely one of my favorite songs from the record. Another more mellow song, is called “Mellow Out.” It has the sound of an old doo-wop group of the sixties, with the gritty vocals of Rateliff taking front and center. It is also the last song on the record, which fits nicely after the grueling force that is this entire album. This album is nothing short of spectacular and is Rateliff’s best work yet. This record really grabbed me, from the first time I heard it. The old school sounds of the bands from Motown and Stax are the driving force, but the lyrics of these songs are more like Bob Dylan and Leonard Cohen. It is truly a masterpiece of soul revival. Soul music is back in full force and I could not be more ecstatic.